Teaming with a friend sitting alongside you and dominating a level is one of the purest joys gaming can offer. However, when the last generation of consoles shifted their focus to online gaming, the humble couch co-op was mostly left by the curb. This has become even less of a priority with this generation of consoles, with both the Playstation 4 and the Xbox One only offering a comparative handful of couch co-op experiences in relation to their ever growing game libraries. On the off chance you have a bunch of friends over and some spare controllers to go around, fear not -- Screen Rant is here. We've collected the biggest and best couch co-op experiences available on the Xbox One and put them in a handy list for you. Aren't we thoughtful? Here are the 18 Local Couch Co-op Games You Need To Be Playing. Since Lego Star Wars kicked off the trend in 2005, the Lego series has become a staple of video gaming. A new release based on some big property is reassuringly predictable, like the tides or angry internet comments. Developer Traveller's Tales hit on a winning formula with Lego re-enactments of iconic scenes from various big franchises, and it's still working after over a decade. Basically any game that has Lego in the title has couch co-op as a standard, and it's surprisingly fun to team up and solves puzzles and collect endless studs together. Whether Lego Jurassic World, Lego Batman, Lego Dimensions or this year's Marvel Avengers and The Force Awakens games appeal to you the most, there's always a Lego game to suit your mood or entertain an irritable younger relative. 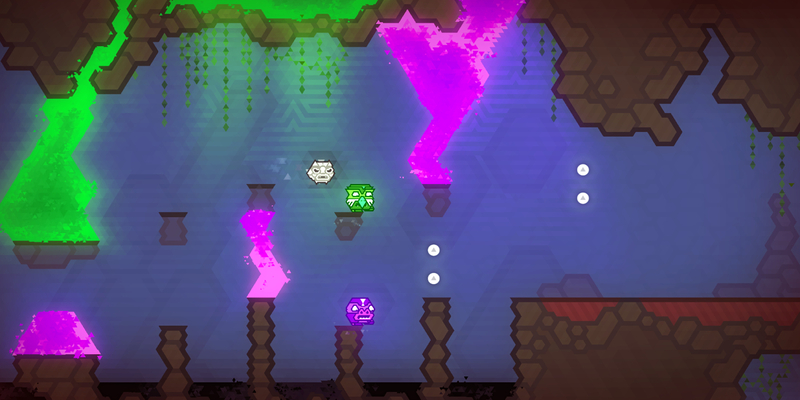 Kalimba is a puzzle platformer where you play as cute, brightly colored totems. The game has a single player mode, but those of you paying attention will know that we're talking co-op in this list, so who cares about that? For such a simple game, the co-op is surprisingly involved. 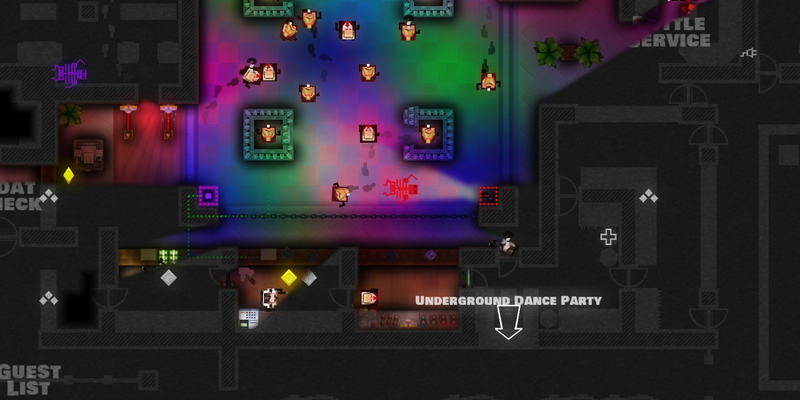 Players must work out the best routes to the objective and use different totem colors to activate switches and get past certain obstacles. Good timing, communication and teamwork are essential to getting to the end of the level. The puzzles can be difficult and the learning curve steep, so you'll need someone at least as good as you in in order to avoid controller-throwing, friendship-ending rage. Make sure you pick your buddy wisely. However, the glory of beating a level you've tried and failed an embarrassing number of times never loses its shine and keeps you coming back for more -- provided you have any friends left. If you're looking for something a little different than the usual shoot em' up violence to play with your couch compadre, Ubisoft's Child of Light may be for you. 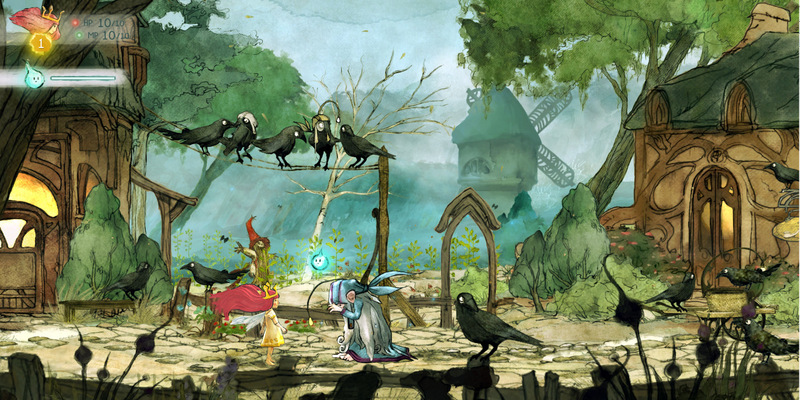 It's a beautifully stylized fairytale RPG where you play as a princess who wakes up in a fantasy world. Whilst there is combat, the emphasis of the game is on exploration and finding hidden paths and secrets. In co-op, one of you plays as Princess Aurora and the other takes the role of Igniculus, a firefly. Whilst Igniculus isn't a fully-fledged second player character, having someone to control him makes the game that much easier when you're both working together to solve puzzles and get past the game's many enemies. It's like controlling Tails in the Sonic the Hedgehog games -- it isn't exactly essential, but helpful nonetheless. The whole game is a more chilled out co-op experience than nearly all of the entries on this list, but one worth checking out for the great storybook visuals and serene soundtrack alone. Gearbox's Battleborn has had a rocky time. It was released the same month as Blizzard's massively hyped Overwatch and was similar enough in its presentation to look like a "one or the other" choice to most gamers. It's a shame, as Battleborn has a lot of its own charm and deserves to be evaluated on its own merits. Yes, it has a roster of colorful and diverse characters all with unique abilities, but there's more to it than that. 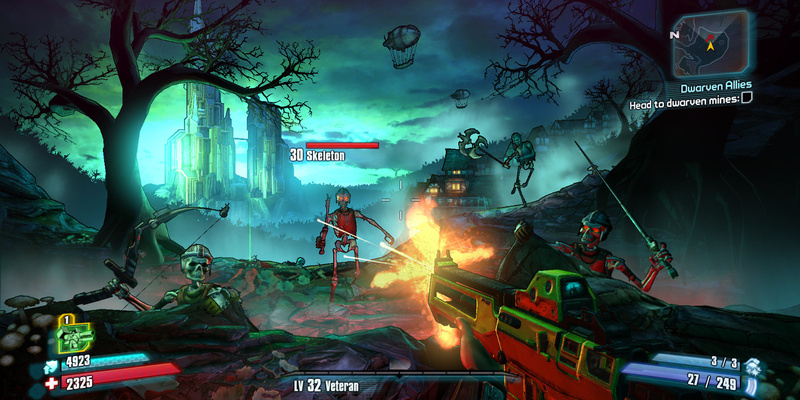 The gameplay is a chaotic mix of Borderlands' gunplay and standard multiplayer online battle arena (MOBA) types like tanks and healers, all with their own roles to play in battle. 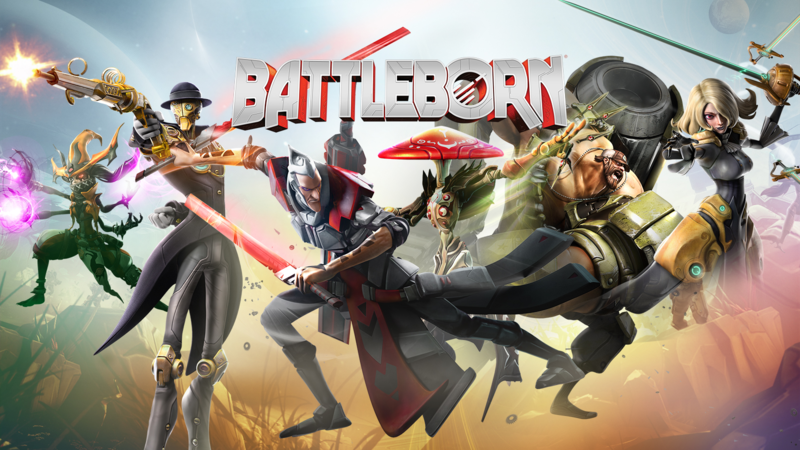 Unlike Overwatch, Battleborn offers local co-op where up to two local players and 3 online players can join forces and tackle the game's significant Story Mode together. Ever wanted to play as a robot sniper who keeps robotic owls under his bowler hat? How about a hulking Luchador with cybernetic arms? A mushroom person with poison-tipped kunai? If you answered “yes” to any of these, Battleborn may be the oddly specific game for you. Ever since A New Hope came out in 1977, video games have been striving to get players closer to the quintessential Star Wars experience. In fact, if you were to only look at Star Wars games from the '70s onwards, it'd be like cutting a tree and counting the rings, as you can see the entire medium progress from a bunch of vaguely familiar pixels to shiny, almost photo-realistic versions of scenes from the hallowed trilogy. Whilst it's a little thin on content, no one can deny that Star Wars: Battlefront looks and sounds the part, and gets you closer to the Star Wars experience than most movie licenses could even dream of. Unfortunately, you and a friend can't split-screen your way to multiplayer goodness. However, you can still play the game's various survival missions, similar to Halo's “Firefight” mode. You start off dispatching idiot Stormtroopers, but the difficulty soon ramps up, and by the later waves of enemies, you're firing rockets at intimidating AT-STs. Teamwork is essential to survival, and it helps if you can reach across and slap your partner upside the head if they've failed to secure the objective or foolishly taken on a walker by themselves. 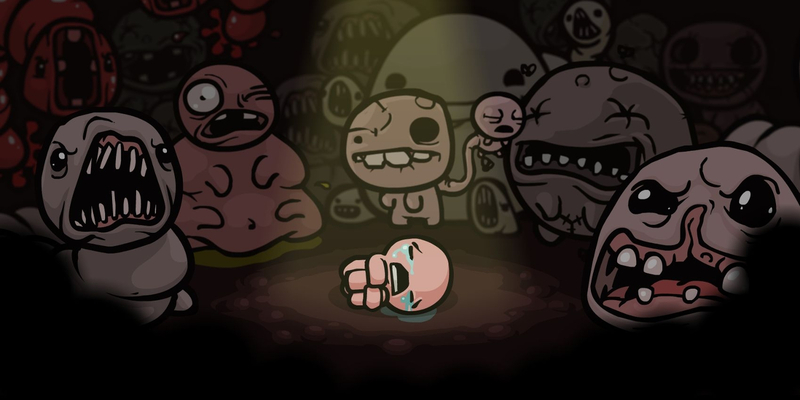 In case you weren't aware, The Binding of Isaac is a simple game where you play a naked, crying child who has to escape his homicidal mother by exploring dungeons filled with monsters, armed only with tears. It's a creepy, profoundly messed up, and yet weirdly sweet title that has ludicrously addictive gameplay thanks to the sheer number of weapons and items you can find and the procedurally generated nature of the dungeons, meaning that no two runs through the game will be the same. The couch co-op ensures that you can bring a friend along to experience the childhood trauma together. It's a lot of fun to team up, and makes taking down some of the tougher and more awkward bosses that much easier. As the game doesn't support any kind of multiplayer outside of local co-op, it's also the only way to experience the game with another player, which is refreshing in this "online or nothing" climate. This is another one for the offbeat pile, but a fantastic game nonetheless. Monaco: What's Yours is Mine is a top down throwback to the days of pixelly yore. You play as one of a select group of criminals, each with their own set of skills, and have to steal money and treasure from various locations. The presentation is great and the vamping piano soundtrack makes you feel like a classic ne'er do well up to mischief. The game was originally released on PC and Xbox 360, but was added to the Xbox One's backwards compatibility list earlier this year. The game supports up to 4 players on or offline and it's a blast executing a heist and sneaking through levels using your various abilities. Will you pick the Cleaner who can knock out guards or will you go with the Mole who can tunnel through walls? Careful planning and good communication are essential to pulling off a successful heist, making Monaco perfect for couch co-op fun. If you like your shooters anarchic and wacky, you should take a trip to the Borderlands if you haven't already. Both Borderlands 2 and Borderlands: The Pre-Sequel were given several layers of current gen polish and were bundled up in The Handsome Collection along with all their respective DLC packs, some of which offer huge additions to the game. The game supports up to 4 local players at any one time and could be a solid choice when it comes to choosing a party game. If you played either Borderlands 2 or the Pre-Sequel on the 360, your save data can be migrated too, meaning you won't have lost your hard-earned rank if you've upgraded your console. Plus, you get to relive some of the game's best moments, like Handsome Jack's insane monologues or the bit where you have to shoot a character named Face McShooty in the face. Octodad is a game where you guide a normal human being through his regular day. Well, actually, you play as an octopus that has put on a suit and somehow fooled people into thinking he's a human with a wife and kids. Your goal is to carry out basic chores to keep up the charade that you're a run-of-the-mill human, a hard task when you have unwieldy, flailing, sticky tentacles instead of hands and feet. Dadliest Catch offers a rather unique co-op experience for up to 4 players. Instead of wreaking havoc as four octopus patriarchs, each player controls one of Octodad's tentacles, leading to some hilarious attempts to do mundane things like making coffee or mowing the lawn. It requires a great deal of coordination and teamwork to accomplish the simplest task, but it's worth checking out for the amount of laughter it's guaranteed to generate. After an uncertain period around last generation when it looked like platformers were going the way of the dinosaurs, they've made an incredible comeback. 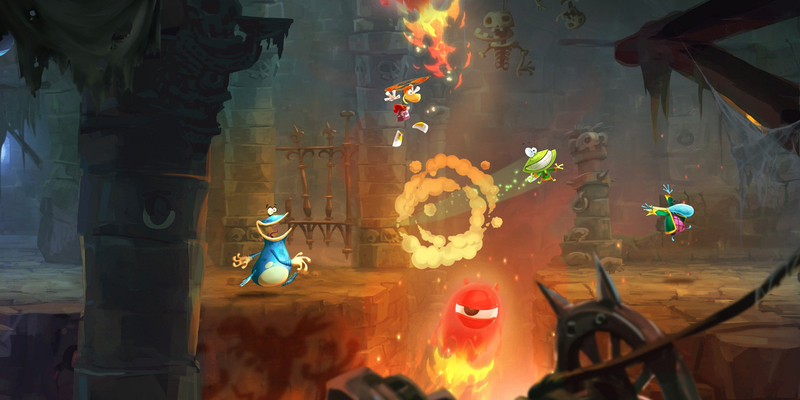 Arguably one of the finest platformers currently available on the Xbox One is the brilliant Rayman Legends, where you can play as everyone's favorite limbless wonder, punching and kicking your way through stylish and cartoony levels. 4 player co-op is supported, meaning you and three friends all control different characters and work your way through the hugely enjoyable campaign mode. All the levels are inventive and fun, but the best ones have to be the special music levels where you find yourself running, hitting and jumping to tracks like “Black Betty” and “Eye of the Tiger”. These levels are so charming, it's nigh-on impossible not to crack a smile at the very least. With Black Ops III, players can co-op the campaign and the multiplayer both locally and online, but probably the biggest draw in terms of co-op play is the ever-popular Zombies mode. The Shadows of Evil campaign is set during the 1940s in the fictional Morg City, where you and a gang of survivors have to hold out against waves of the undead and various supernatural creatures, earning better weapons and upgrades as you go. The mode features a great voice cast too, including Jeff Goldblum, Heather Graham, Neal McDonough and the equally gruff and awesome Ron Perlman. It's a fantastic mode and pretty much worth the total price of the game alone. Nothing beats the tension of hitting up a Mystery Box and waiting to see whether you'll get something awesome that can wipe out hordes with one trigger pull or something embarrassing that's going to let your squad down. After flooding the market with numerous releases a year and increasingly expensive peripherals, the music genre died a rather undignified death last generation. It turns out that people only had so much money and space to dedicate to Fisher-Price looking instruments. 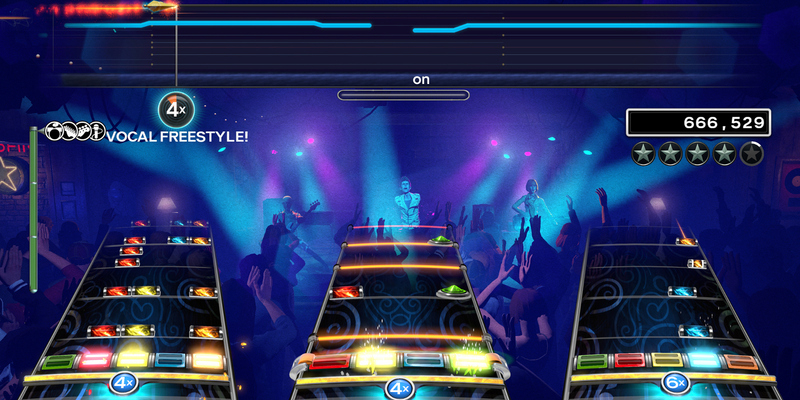 However, for this current generation, both the Guitar Hero and Rock Band franchises have made a comeback, with both games stripping down previous excesses and focusing on what made the experience so much fun in the first place – the ability to grab some friends and play as a band. Rock Band 4 supports up to 4 players, and it's up to you to sort out who gets the two guitars, who sings and who is on drums. The soundtrack includes classic rock tracks from the likes of The Who, Rush, Aerosmith and Judas Priest as well as more modern pop tracks like Mark Ronson's "Uptown Funk". Your neighbors may end up hating you, but at least you'll be having a good time. 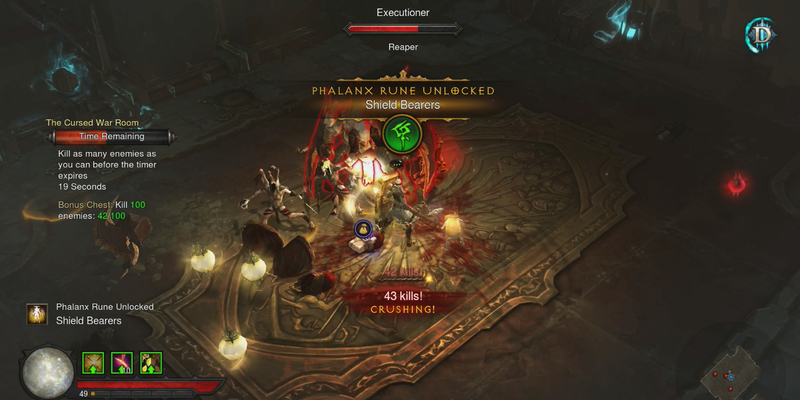 RPGs like the Diablo series tend to be thought of as quintessential PC experiences, with the PC platform preferable due to the complexity of the games and the sheer number of buttons needed to bind certain abilities, items, spells etc to. However, in recent years (and especially on the Xbox), more studios have been willing to give consoles a fair shake of the role-playing stick, and one of the best action RPGs available on the Xbox One is Blizzard's Diablo III. Up to 4 players can team up and choose from six classes to fight monsters, complete quests and, most importantly, collect loot. Instead of splitting the screen up, all four players share the same single screen, which is refreshing. The game's difficulty also scales with the number of players, so if you think you and your buddies are going to steamroll your way through the proceedings, you've got another thing coming. 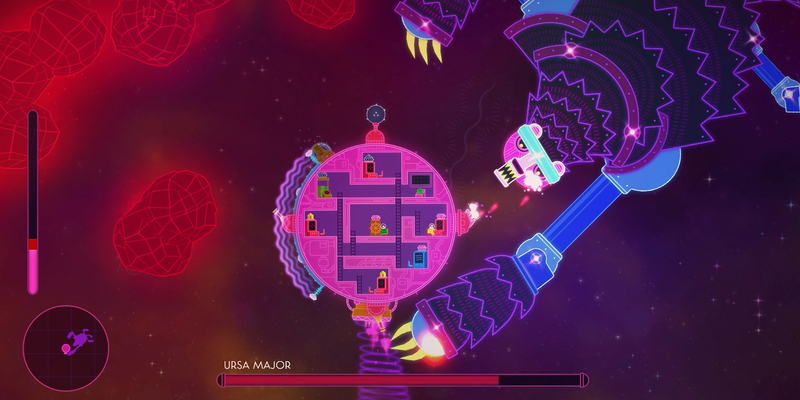 Lovers in a Dangerous Spacetime is a 2D game where you and up to 4 players control a spaceship as you pilot it through space and defend yourself against enemies. You and your friends each control an avatar on a circular ship and you have to run into different rooms to man the ship's various functions -- like the guns, the engine and even the map -- to try and figure out exactly where you have to go. It's basically like a 2D version of Guns of Icarus, but with more chiptune music and adorable sprites. Don't let the game's cutesy presentation fool you, however. Things can get pretty hectic, and a cool head is needed to succeed. As with a lot of entries on this list, good communication and teamwork is necessary to get ahead. If you don't make it clear to your partner that you're running to the engine or checking the map, they could have the same idea and leave you open to attack, as nobody's manning the shields. Whilst the game does have a single player mode, it's clear the experience was built around cooperative play and it really comes alive when you have multiple would-be astronauts in the same room screaming at each other to man the cannons. Minecraft has been an unbelievable success story. The sandbox/survival/building game captured the hearts and minds of players young and old and soon became the game everyone was talking about. It's been ported to everything with a screen, and judging by the sheer number of still successful Minecraft Let's Plays on Youtube, it isn't going away any time soon. 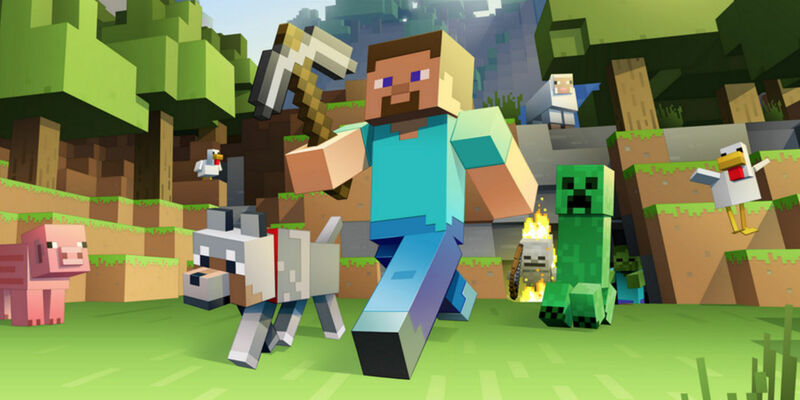 The Xbox One version of Minecraft supports up to 4 offline local co-op players, with the potential for up to 8 players wandering around together if you choose to go online. There you can dictate what you want to do and how you want to play. Do you want to mine resources and explore the world or do you want to build the USS Starship Enterprise? What you do is entirely up to you and your friends, and that's the appeal of the game in a nutshell. 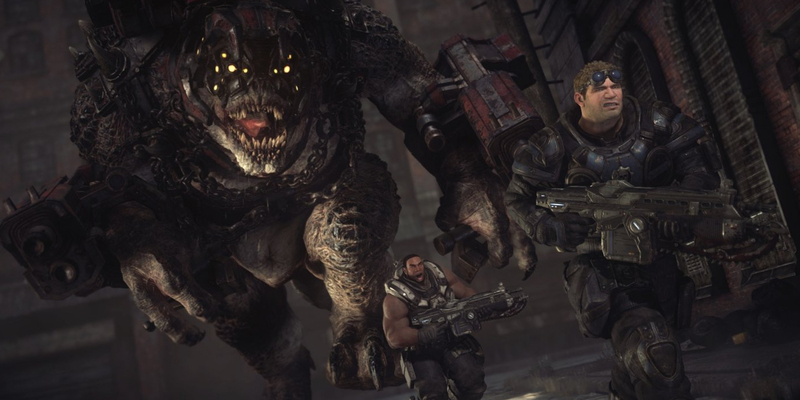 Gears of War was the game that introduced the angry Marcus Fenix and his sullen buddies to the world. It also popularized third person cover-based shooting, which had a huge influence on the type of games churned out by big game studios. It was a big exclusive title for the Xbox 360, so when the Xbox One's time came around, it made sense to pretty up the dark and gritty game for a new generation. With the release of Gears of War 4 imminent, there's no better time to sharpen your Lancer blades. You and a friend can play through the entire remastered campaign together and trade gravelly voiced tough-guy quips as you mow through the Locust hordes. The best part is that all your teamwork will be rewarded when the new game comes out, with Gears 4 already confirmed to support local co-operative play. Due to their prevalence, current gen remasters of older games are starting to get a bad rep. It's hard to disagree when people want new and exciting titles and are being given shinier versions of older ones they've probably already played to death. 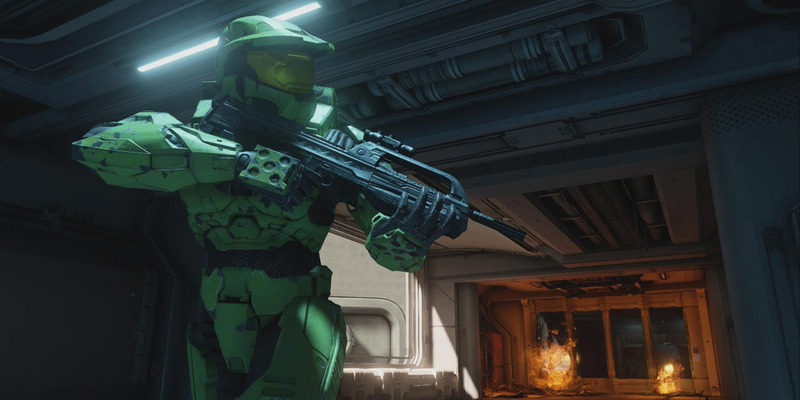 However, Halo: The Master Chief Collection stands as a shining example of a remaster done right, not only polishing up the graphics, but preserving the classic Halo multiplayer modes too, both done with the utmost care and attention. Well, now that the servers are sorted, at least. Even better, you and a buddy can join forces and play through the campaigns of the original Halo: Combat Evolved as well as Halos 2, 3 and 4, with Halo 3: ODST's story mode offered as DLC. Having an intelligent partner who knows what they're doing to replace the games' notoriously stupid AI characters is massively helpful when it comes to the crushingly difficult and unfair Legendary runs. There's nothing more fun than commandeering a vehicle and driving whilst your teammate shoots at anything that has the gall to cross your combined paths. Rocket League finally answers the age old question of what happens when you crank the awesomeness dial up to 11 on a particular sport. 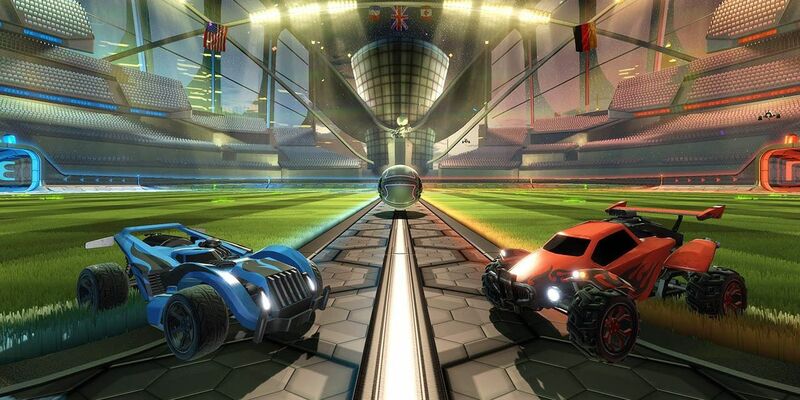 It's basically car soccer, and you don't have to be a fan of either thing to appreciate what Rocket League has to offer. It has simple and addictive gameplay where your only task is to drive around and try and hit an oversized soccer ball into the opponent's goal. Recent updates have expanded the experience so that you can play rocket powered versions of basketball and ice hockey too. 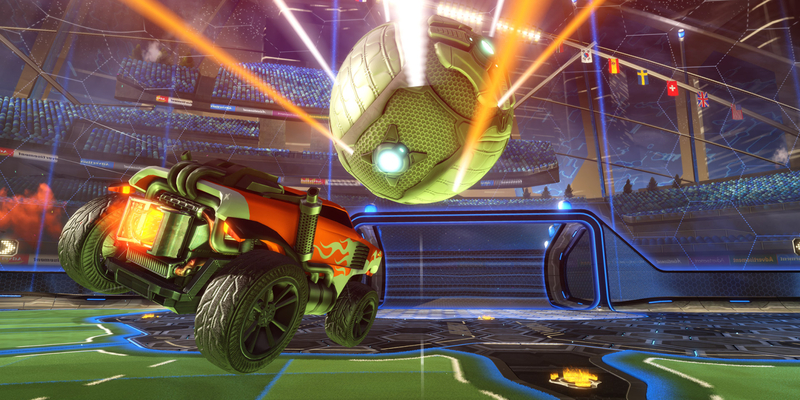 Rocket League has all the appeal of a sports game without really being one. It's an incredibly well-designed game that does what it set out to do expertly. It's no slouch in the local co-op department either. Up to 4 rocketeers can team up and play online against other players as well as bots. It's almost an unhealthy dose of fun that will keep you coming back for “just one more match”. Plus, the game's newly added Rumble mode shakes things up with crazy pick-ups like boxing gloves, spikes, freeze powers and grappling hooks. You haven't lived until you watch a replay of yourself grappling into the ball from a long distance away and smashing it into the opponent's goal. If you remain unconvinced, you can play as both a DeLorean AND the Batmobile. 'Nuff said. Never neglect the classics. While this one is a bit of a stretch in the "co-op" sense (playing Madden against your buddy is infinitely more fun than being on the same team), it's hard to top a good showdown in the sporting world. If sports are your thing, it simply doesn't get much better than this. The argument can be made that many of these games have already peaked -- there's only so much you can do in the way of inventing new game modes for sports titles -- but the graphics continue to improve incrementally year after year, and playing with outdated rosters is a true drag, so sports fans usually find themselves shelling out the big bucks for these yearly titles when their release dates come around. Your favorite team may not be winning a Super Bowl in real life any time soon, but with you at the helm, you never know. What's you and your friends' favorite XBox co-op title? Let us know in the comments.